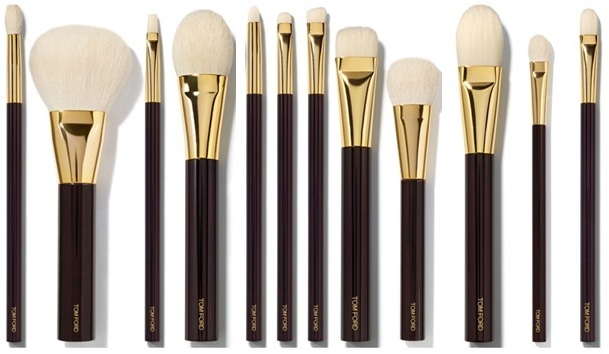 SUPER DUPE | TOM FORD Brush Set Dupe is Legit & Only $24! I’m back with yet another amazing brush set dupe feature. They are l e g i t, and by that I mean really nice lol. You guys know how I feel about brushes, you can never have enough. Knowing we can’t fight the urge, most of us continue to buy them. From low end to high end we break the bank for the perfect bristle and handle. This is why its important (to me) to find cheap, high quality brush sets! 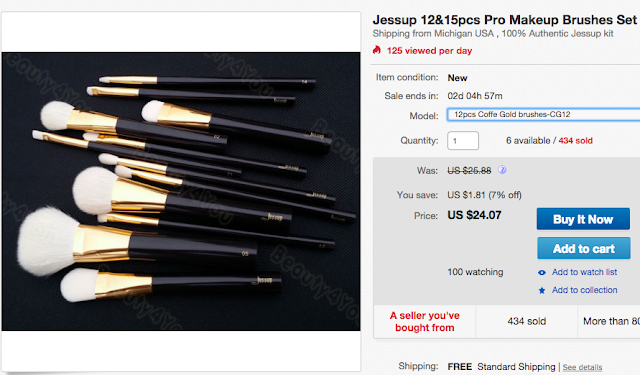 Lets talk about this Jessup Brush Set for a quick second. That’s if you’re still reading, most of you probably already have the purchase link up in another tab. LOL. The face brushes are super fluffy, but with the right density. Great for dusting powder on and off the face. I will say that they are a little rough on the edges, however after I washed them, they felt soft like a baby’s bottom. In case you didn’t know, when you purchase new brushes from anywhere, even MAC…wash them first before using! You don’t know who’s hand or face they have been on. Customers at the MAC store reach in jars and play with them all the time. The hairs on the brush are a synthetic blend, perfect for applying foundations and primers! Out of all of the eye brushes, I didn’t care for the angled eyeliner brush. Its way too thick and is practically useless. Unless you were using it to feather out your eyeliner for a smokey look. Yet, its still too thick for my taste. Over all its a great set and can be purchased separately if you’re not interested in the entire set. While I know you all are probably looking for a break down on how to use each brush, I’ll save that for a YouTube video. So stay tuned to my channel for that! This post would be really long if I did that here. I just wanted to come and give you all the run down of this amazing set. Its not Tom Ford, but its Jessup, & Jessup brushes are amazing. I hope you enjoyed this post and if you purchase this set come back and leave your review in the comments. Also tag me on instagram @AllThingsbee and/or use the hashtag #ATBBeautyFind. Also use this hash tag if you find a sweet deal and would like for me to see it. I purchased this set from the seller below so I CAN vouch for them. Select “12 pcs Coffe Gold Brushes- CG12”. They have other amazing brush options, so stock up if your heart desires. Do know that I’m not receiving a dime from this post. I’m just sharing the love. I hope you will do the same and share this post with a friend.